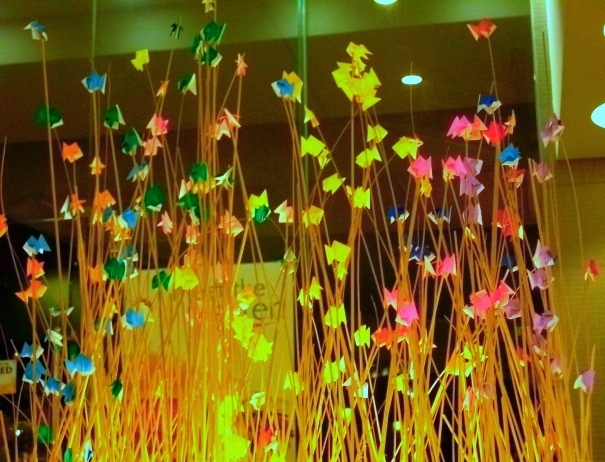 One of the things I loved about this resto are the many origami creations scattered through out the place. During its early days, I used to shamelessly filch from their collection: paper cranes, flowers and hearts which I then bring to work to put on my dreary desk. The papers decorating the bamboo stick reminded me of a vast field, filled wit flowers fluttering in the wind. The tiny origami creations, some shaped like fishes, some like crane added a whimsical touch on an otherwise ho-hum decoration. …until I suddenly realize that the freaking dream is actually more like a frame-by-frame copy of one of the crucial scenes in the Korean romantic drama, “Spring Waltz”. (I love this drama. In fact, I loved it so much that I used its theme song, “One Love” by Loveholic as one my wedding songs).